Il Cocco restaurant is located in the heart of the historic center of Orvieto, one of the most charming towns in Umbria, Italy. 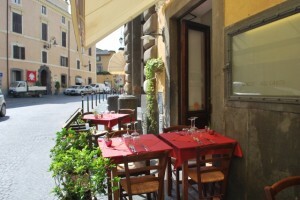 The restaurant is next to Piazza della Repubblica and the wonderful Town Hall Palace, in Via Garibaldi. 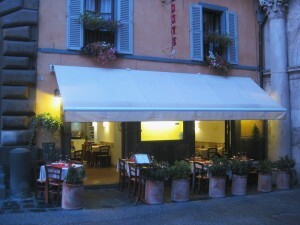 Our restaurant offers a menu with many traditional dishes and is the ideal place to enjoy a meal in Orvieto. Inside our restaurant are available two quiet and well furnished rooms. Giancarlo, the owner, together with his staff, will be at your disposal. 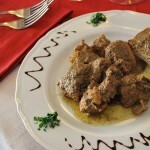 Our best dishes are based on local products, such as wild boar, truffle, porcini mushrooms, rabbit, veal, and much more. Moreover, our restaurant offers a great selection of local and national wines. We can host up to 45 people inside and 15 people outside. In fact, during the warm season, you can enjoy your meal in Orvieto while sitting at our outdoor tables on Via Garibaldi, just 20 meters from the unique Piazza della Repubblica and from the Sant’Andrea Church.